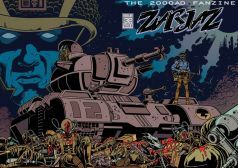 Over on his blog, Bryan Coyle is talking about the old 80's comic War Cars, which a lot of people don't seem to remember. There's not a lot about it out there on the net that I can link to, but Bryan's been doing some digging into the history of it. 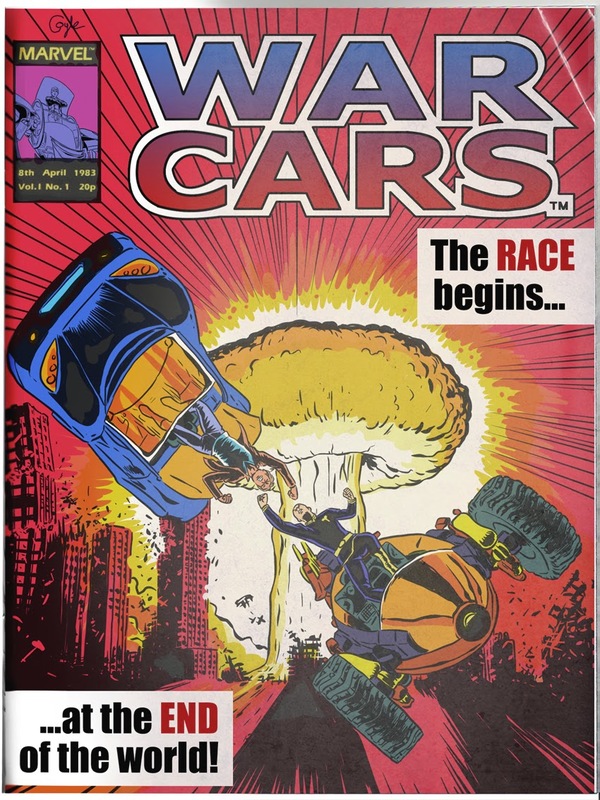 The short version is that War Cars was a comic based around a toy line that didn't get released in the UK when the licence holder, Stadium UK, went bankrupt, leaving Marvel UK with a comic based on a toy no one had heard of and probably never would. 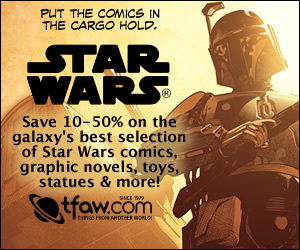 Needless to say, War Cars was not a hit, but oddly, copies of the comic go for a fair chunk of change on eBay. That image is shamelessly stolen from Bryan's blog. I loved the few issues of this I read - and, man, I read them cover to cover until the pages were coming away from the staples. I've still got a couple of old issues kicking around which have, to be honest, seen better days, but I just can't bring myself to part with them. I have to admit, though, I never really took to the Killraven or Planet Of The Apes reprints that filled the rest of the comic, but something about the main War Cars series just fired cylinders in in my tiny mind and made me fall completely head over heels with the concept of it (I actually remember sitting on the back doorstep, pretending I was driving one of the cars!). But one thing in particular I remember was the text story, Defeat!, that was used as filler for a later issue (I could've sworn it was in an annual, but I actually have the issue with it in). It was, I think the first text story I ever read in a comic or annual - I was never a fan of them, if I'm being honest, and I tended to skip them when they came up, but Defeat! was the one that made me re-think that whole approach and actually made me pick up a pencil and write my own War Cars story (lost to the mists of time, thankfully). So, with Bryan posting some scans from the comic, I thought I'd jump on that bandwagon and post Defeat! here while my copies of the comic are still in a decent enough condition to be fed through the scanner; I'll also see about making a PDF of these for download at some point in the future, too, even though the legality of it's a bit...dodgy. I've never been able to find out who wrote this, but, after some digging, I did find out Italian artist Carlo Ferrigno provided the illustrations. If anyone reading this knows who the writer is, though, please let me know. Anyway, enjoy - and, remember, click the images to see larger, readable versions.